Did you know that the original tortilla chip was first popularized as a snack in Los Angeles and San Antonio in the early 1940s? Which of the two cities to first make this delicious snack is the subject of much debate. 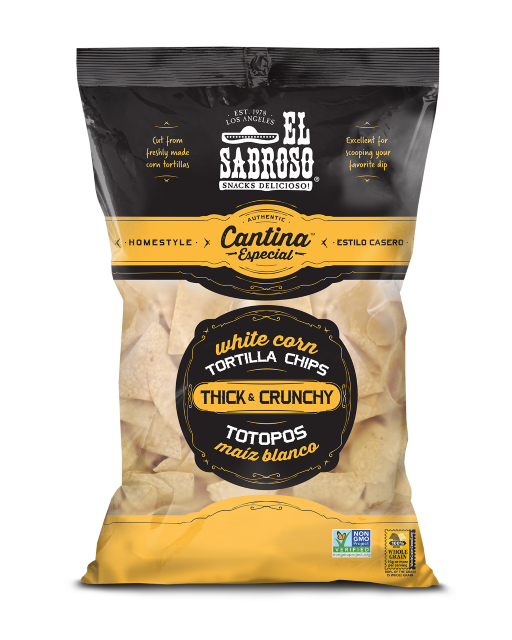 El Sabroso® Cantina Tortilla Chips are made the time-honored way and cut from freshly made corn tortillas, and then cooked to a delicious authentic crunch. The resulting chip is distinctively flavorful compared to ordinary tortilla chips, and especially ideal for making Nachos or scooping your favorite guacamole.